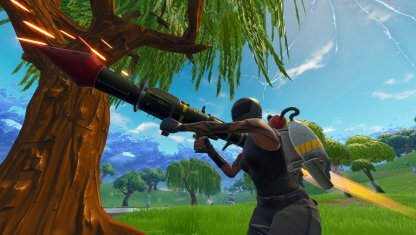 Find information about damage, stats, rarity, and magazine size of the Launcher weapon class in Fortnite! Launchers do a great amount of damage with a single shot. A successful hit from a Launcher is enough to wipe out a player's shield or health, or destroy a structure! Instead of damaging a single target, Launchers deal damage around the area where their shots explode. You can hit multiple enemies with a single shot, but be careful! Launcher explosions damage you too! Despite their power, Launchers do not fire shots rapidly. After firing, you will usually need to wait for a few seconds before firing again. Do not be trigger-happy with this weapon! The launcher's shot does not instantly hit the target. 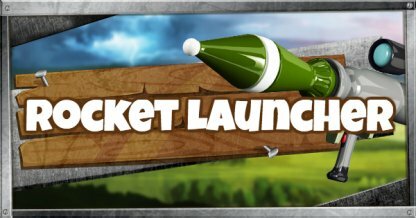 You will need to wait for the launcher's shot to reach its destination before it damages anything. Try predicting where your enemy will be before you fire. Although you are not immune from the explosion, your teammates are so no need to worry about friendly fire when using this weapon! Using a Launcher for a group of enemies will allow you to deal a huge amount of damage to multiple enemies with a single shot! You may be able to quickly destroy an enemy's structure by firing at its base. By destroying its base, it may also bring down the rest of the structure! Remember that shots take time to hit their target. Fire your weapon at the area where you think the enemy would be, and damage them in the explosion!